The Hinderer Investigator Pen continues the history of innovation in hard use writing tools from Hinderer Knives. 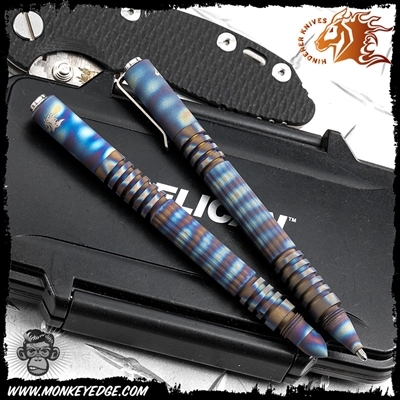 The Investigator Pen packs a ton of punch in a small package. Designed and manufactured to the same high standards as the Extreme Duty Pen, just in a smaller size. It uses a full size Fisher Space Pen refill so it can handle a ton of writing. A discreet, take anywhere tool that can stand up to hard use. Cap can be threaded on to top for storage while writing. Comes with bullet point and new attachments will be available in the future to customize configuration. 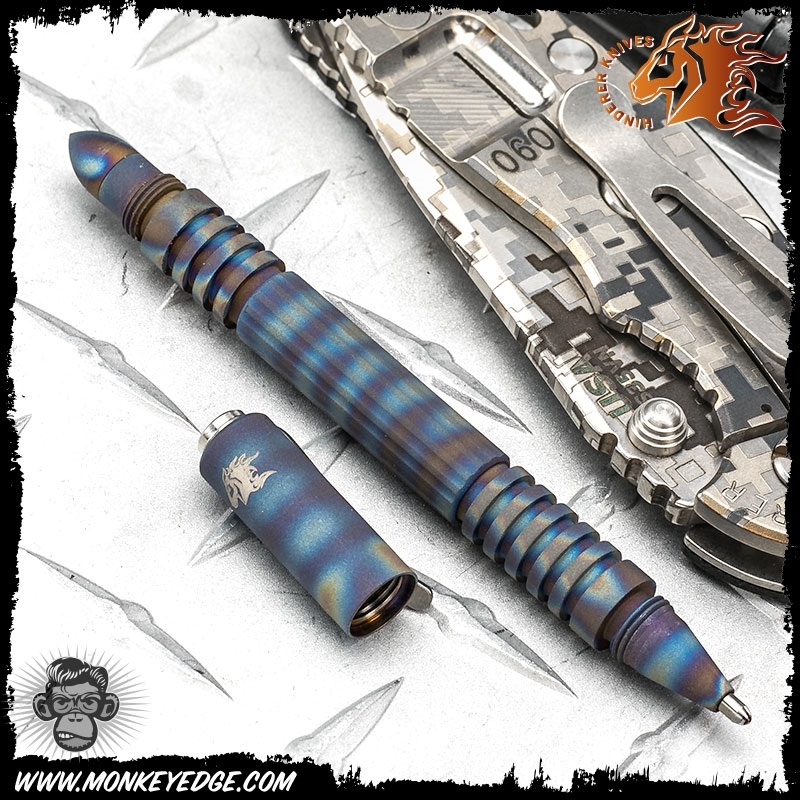 Machined from titanium with a hand flamed finish. Please note: Each pen is finished by HAND, meaning no two will look the same. Don't get worked up if yours looks different than the picture!